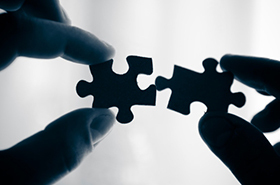 Facilitation is a core methodology used in all of our client project deliveries. 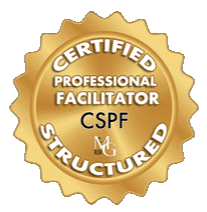 Our facilitators are Certified Structured Professional Facilitators (CSPF). Structured facilitation was created for running more effective meetings and workshops. When consensus is critical yet perspectives differ, structure enables a facilitator to integrate the valuable pieces of disparate views, thus building consensus while improving decision-making quality. Certified through MG Rush Professional Facilitation Training, this training is endorsed by the Scrum Alliance, PMI, and IIBA. Expert facilitation is proven to dramatically increase productivity of workshops, of meetings, in any group setting, and within teams. Facilitation skills are essential to effectively work within the three constraints of time, cost, and scope. Projects require and benefit from group activities to plan, decide, analyze, and extract high-quality information in a compressed time. Our structured facilitation technique guides individuals and teams to develop clearer deliverables, solve problems, and build higher quality consensus-based decisions.